Electric cars are supposed to lessen the impact that gasoline burning cars have had on the environment. However, are they really the answer we are looking for? A Tesla Model X P90D. The Tesla electric car has been hailed as a solution to the problem of polluting cars that run on gasoline. Photo credit: Yauhen_D / Shutterstock.com. Elon Musk unveiled the Tesla Model 3, an electric vehicle, on March 31st, 2016 to much fanfare. To attest to the growing popularity of the electric car, Tesla had already received over 350,000 preorders for the Model 3, twelve months preceding its launch. Despite accounting for about 1% of the annual car sales in the United States, the electric vehicle industry is expected to grow astronomically in the future as more people embrace the eco-friendly cars which are now available in most leading global markets. There is a certain appeal in driving an electric car. Take the Tesla Roadster as an example. 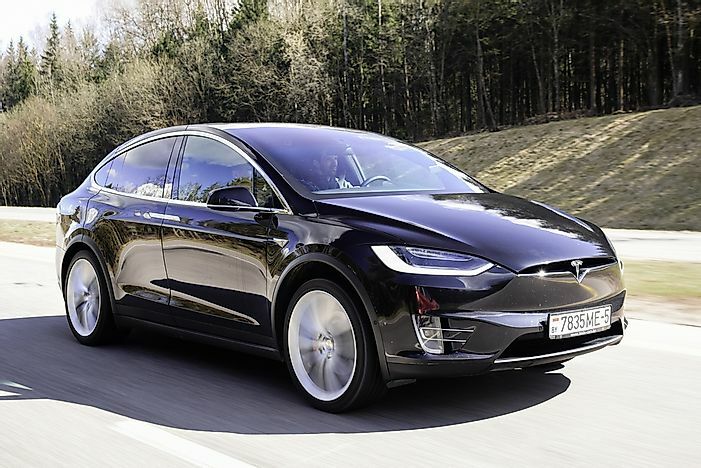 According to an article from The Register, this electric car can accelerate from 0-60 miles per hour in just four seconds, rivaling the acceleration in most petrol cars. The biggest selling point for the electric car is its impact on the environment. Pollution and the emission of greenhouse gases have been the biggest issue facing the world in the 21st century with fossil-fuel-based vehicles releasing millions of tons of carbon into the atmosphere (as much as 1.7 billion tons annually to be precise). Fossil fuels, while being critical in the powering of machinery, have been disastrous for the environment and these vehicles which consume millions of gallons have been linked to global warming. Therefore, the introduction of the electric car which is based on electric energy was a breath of fresh air in the choking automotive industry. However, a report published in Scientific American shows that the electric car is not exactly pollution-proof. While the electric car does not require gas, its energy source can be linked to fossil fuels. The efficiency of the electric car is as good as the source of its electricity that powers it. In the state of California for instance, the bulk of the electricity is produced from clean sources, and therefore the electric cars used in the state are also the most eco-friendly in the country. However, in countries such as China where the majority of the electricity is produced by coal-powered stations, the electric cars used in the country will be indirectly linked to the emission of greenhouse gases. The eco-friendliness of the electric car can be scrutinized even further. A report from The Guardian established that while running on clean energy, electric vehicles are still linked to particle pollution, a type of pollution which emanates from the wearing and tearing of tires and brakes releasing particles into the atmosphere.